Zionist Union points finger at Netanyahu and Liberman as Hamas continues to shower Israel with rockets. 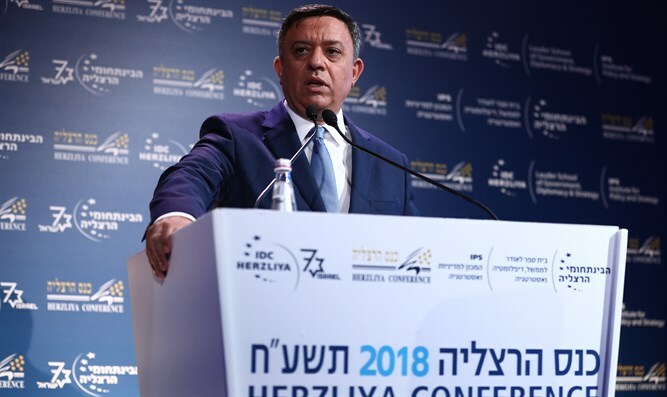 Zionist Union leader Avi Gabbay said that Prime Minister Netanyahu and Defense Minister Avigdor Liberman for the latest escalation between Israel and Hamas. According to Gabbay, Israel's failed leadership enabled Hamas to seize the initiative. "Netanyahu and Liberman are letting Hamas determine when to start and when to finish rounds [of fighting," Gabbay said during a visit in the rocket-battered town of Sderot. "We have a strong army and weak politicians who not know how to deter a terrorist organization and do not know how to conduct negotiations," added Gabbay. "Whoever promised to liquidate Haniyeh within 48 hours would be able to allow a terrorist like Salah Al Arouri to run around." Gabbay's sentiments were echoed by opposition leader Tzipi Livni. "The government prefers the state of Hamastan here to the residents of the south. It reinforces the extremists, weakens the moderates, and it will cut the south off of life from round to round," said Livni.